We make use of state of the art asphalt paving and preventative maintenance equipment and materials along with a comprehensive computer system and dedicated employees that ensure your job is done quickly and properly. 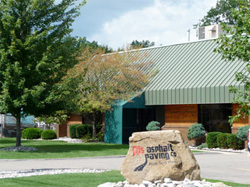 Our Michigan asphalt company provides superior quality asphalt services from new construction to asphalt resurfacing. For more information, contact us by phone at (734)946-1880 or through our contact form here.